If you were born in the 80’s, and you are a gamer, I am sure you dream about traveling to Japan. The first videogame was “developed” in the US, and the first video game console was designed in America too. However, it was Japanese developers who dominate the video game world in the 90’s. Today things are a little bit different. Japan is still a country loved by players, but there is a new challenger who want the attention of western players. South Korea is the new favourite country among those who play League of Legends, and StarCraft, is the place where e-Sports were born, a country where StarCraft players are more important than football players. 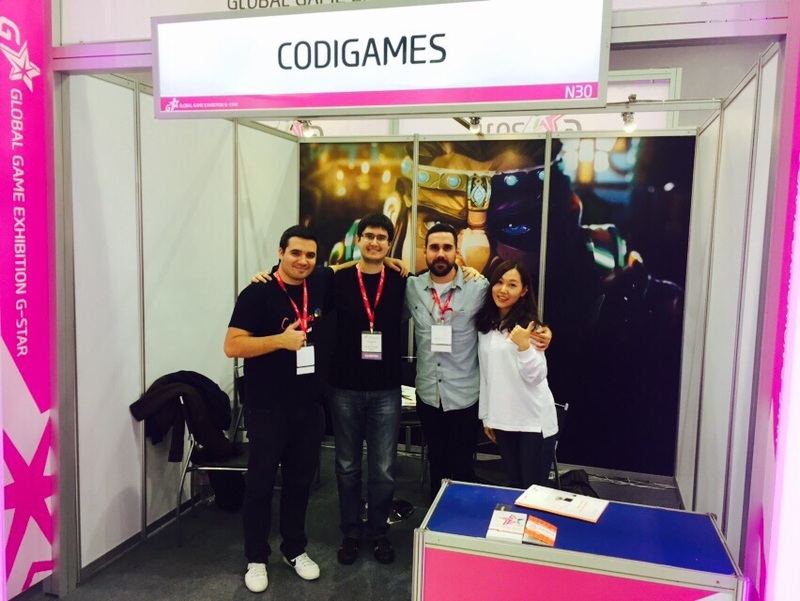 Codigames was last week in South Korea to attend G-STAR, one of the most important events in the video games world that takes place in Busan, a touristic city in the South of South Korea. From November 12th to 15h, more than 1,200 companies attended the event. 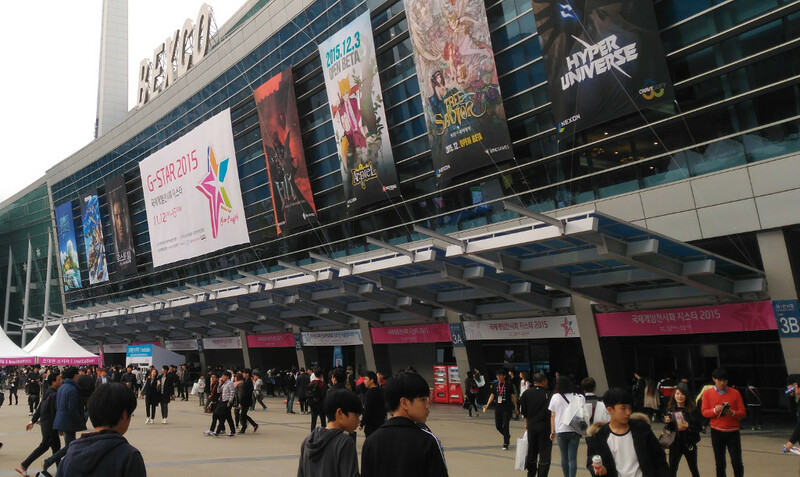 We visited Busan to learn more about the Asian video game industry, and specially, about Korean players. 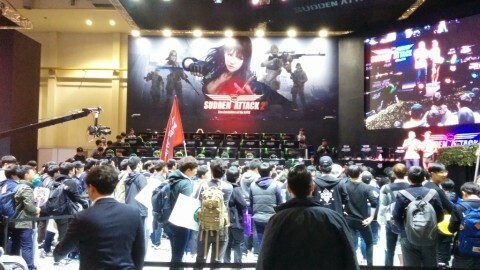 The first thing we learnt about Korean market is that the most popular games are automatic RPG. Yes, automatic. 4 out of 5 of the top 5 games in Korean Google Play are automatic RPGs. In those games, you have to manage your character, get new items, train your skills, and stats, but… you do not have to play, because the game plays for you. Of course, you can control your character during a battle, but you can just watch how it figths. Do you want to try a game with autoplay? Then you can download Marvel Future Night, from Netmarble, on iTunes or Google Play. In Korea, the most popular IM app is KakaoTalk. It was created as an instant message app, like WhatsApp or Google Hangouts, but currently they offer a lot more things. Games can connect with Kakao, so it is common to see titles that connect with Kakao. If a game is designed for Kakao, it means you can connect with your friends in KakaoTalk from inside the game, and send them messages, or challenges. Yes, it is more or less like Facebook. One of the things that amazed us is the fact that Internet cafes are very popular in Korea. Internet cafes (or Cibercafes) appeared in Spain in late 90’s. They were a place to enjoy fast Internet connections, and play online games with your friends. However, they disappeared when broadband connections get cheaper. But, you can still find Internet Cafes in South Korea. They call them PC bang, and they are way better than the Internet cafes we had in Spain. You can play there computer games, but they allow you to eat or drink there. But PC bangs is not only about gaming, they are a place to meet your friends, it is a social meeting point, specially for young people. As you can see, Asian market is quite different from Western market, but this differences are not as big as you can imagine, because, at the end of the day, we are all players. No matter if you were born in Korea, China, France or the U.S.A. We all love to play, and, of course, we all know it is always better to play with your friends.